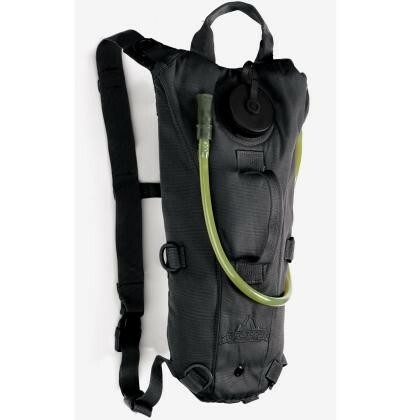 With the minimalist in mind, the Rapid Hydration Pack has only one compartment which stores the 2.5 liter hydration bladder. The sleek body of the pack features two lightweight shoulder straps with an adjustable quick-release sternum strap and is surrounded by six D-rings for attaching gear. Reinforced carry handle on top and on face for on-the-go carry.